Years ago a bachelor pad would have conjured up the image of a poorly kept, messy, disorganised drinking den reminiscent of a scene from Men Behaving Badly. This scenario is not so common these days, and in fact bachelor pads often ooze masculine elegance and class. The bathroom is no exception and should not be forgotten, a stylish and well-equipped bathroom is essential to make any bachelor pad feel like home. We are not talking basic grooming essentials but trendy accessories to make your bachelor pad bathroom an item of envy. LED mirrors and fog free shower mirrors are very modern must-haves. An LED illuminated mirror placed over the sink not only creates a practical space for daily grooming but also adds an additional source of light to what can sometimes be a dark, dingy space. If you prefer to watch yourself singing in the shower then a fog free shower mirror is what you need. In all seriousness, this is money well spent if you are a shower shaver. There is nothing nicer than wrapping yourself up in a warm fluffy towel after stepping out of the bath or shower. This doesn’t have to be an experience that is limited to the winter when your heating system is on. With a handy electric towel warmer, you add a touch of luxury to your bathroom every day of the year. Enjoy your own music style in the shower by streaming the music from your phone to a waterproof shower speaker. Shower radios are so yesterday, this little gadget will demonstrate just how tech ready you are. 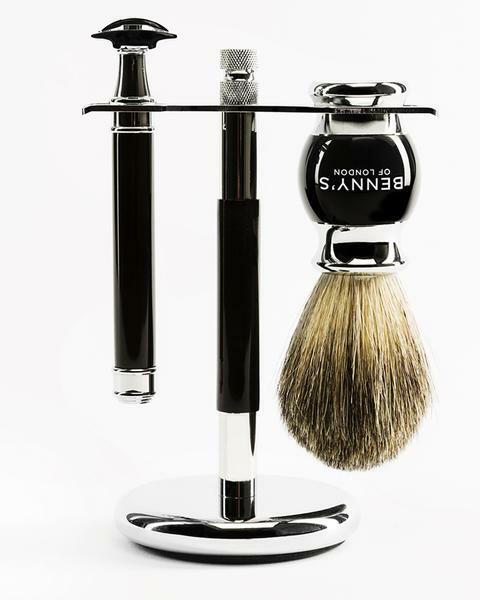 If you are a guy that swears by a wet shave then a traditional shaver stand is essential for your bathroom. It not only serves a purpose but will also add style and class to your bathroom and demonstrate that you are serious about your grooming. If you don’t wet shave, perhaps it is something that you should look into to get the most comfortable and closest of shaves. A statement gadget that demonstrates how serious you are about looking after yourself. Body scanning scales are great to find out exactly what you are made of and will help you to manage your fitness goals and your overall health and wellbeing. Choosing the right shower head can turn an ordinary shower into a shower experience. 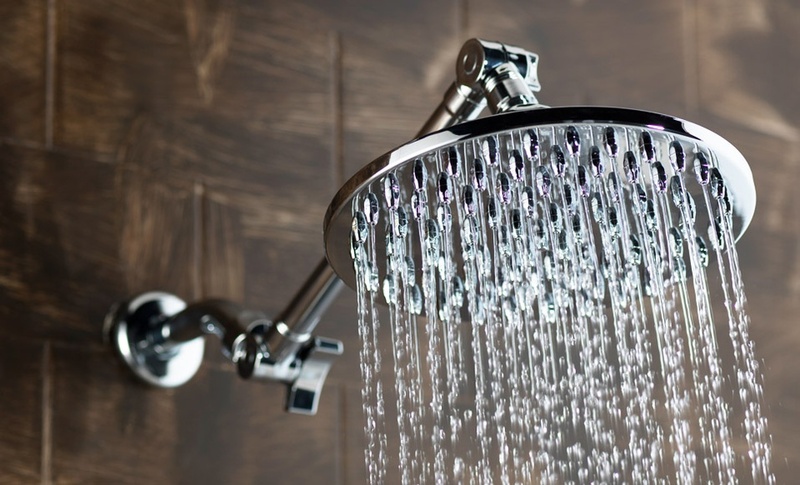 Whether you choose to stand under gentle rainfall or love the massaging effects of a power shower, the right shower head will bring a touch of spa luxury to your bathroom. Fluffy towels reminiscent of luxury hotel rooms and spas are a definite must have for the ultimate bachelor pad bathroom. Opt for Egyptian Cotton for the long fluffy fibres and a high GSM for superior density. You use your towels every day so quality is important, plus it will enhance your shower experience no end. Don’t forget to include a nice fluffy bathrobe too. Make your soap suds more efficient and hygienic with an automatic soap dispenser. It will look smart on your bathroom countertop and help you to stay germ-free and keep colds and flu at bay. Not just for girls. Burning a candle in your bathroom will not only mask any unattractive odours but will also make the bathroom a nicer place to be. Opt for woody, spicy or outdoor fragrances for a more masculine home aroma. Don’t forget to light them for the ultimate in relaxation when heading for a foaming bubble bath. 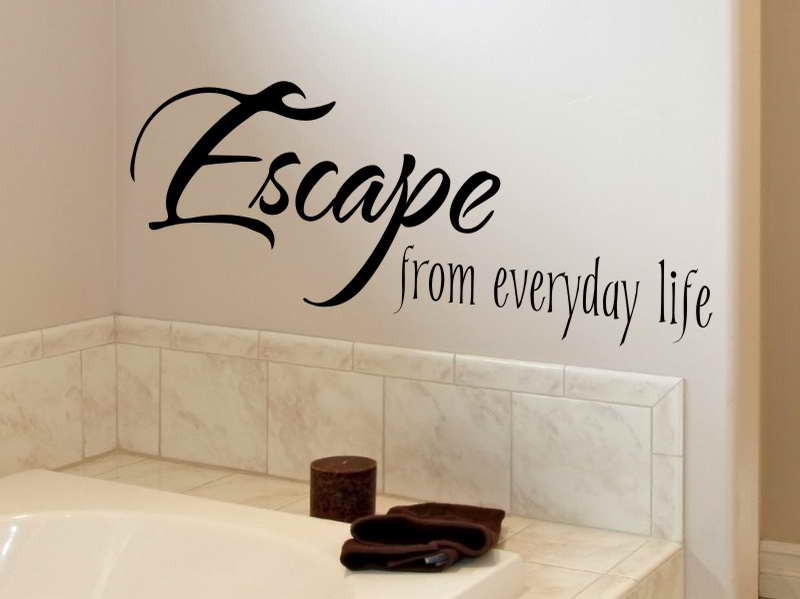 If you have a blank wall in your bathroom enhance the space with an inspirational or fun quote using a wall decal. This will transform your bathroom space into a truly personal one. A great better way to show your softer side. Have we missed something off our list that you have in your luxury bachelor pad bathroom? Let us know in the comments and we will add it on. Be the first to comment on "10 Essentials for the Ultimate Bachelor Pad Bathroom"